(Wall Street Journal) UNIONDALE, N.Y. — Jack Capuano is sticking around as coach of the New York Islanders, losing the interim tag Tuesday after guiding the team to a much-improved second half of the season. Capuano was promoted from coach of the Islanders’ Bridgeport AHL affiliate on Nov. 15 when Scott Gordon was fired in the midst of a 10-game losing streak. Under the first-time NHL coach, the Islanders went 26-29-10, including 25-21-8 in the final 54 games. Overall, New York (30-39-13) finished last in the Atlantic Division for the fourth straight season and 14th in the 15-team Eastern Conference. Great call here. I would’ve been very upset if they got rid of him. Capuano was named interim coach at a time when the team was in the middle of a disaster. With a depleted roster, he had the team succeed in the second half of the season and some-what salvage the season. The Isles were a completely different team under Capuano. When Scott Gordon was coach, they were in one of the worst slumps in franchise history. A change was desperately needed. 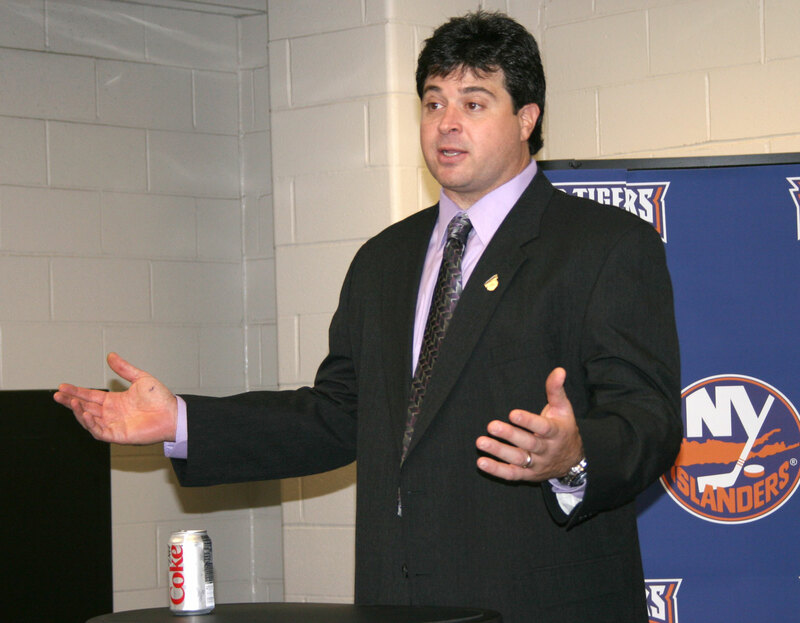 Given Capuano was the head coach of the Bridgeport Sound Tigers ( the Isles’ AHL affiliate) for the past four seasons, he has coached a number of the young Islanders early in their professional careers. The players have responded to him well throughout the entire season. With Mark Streit and other injured players returning in full health next year, the future is looking bright for Capuano and the Islanders. This entry was posted on April 12, 2011 at 10:46 am and is filed under Islanders. You can follow any responses to this entry through the RSS 2.0 feed. You can leave a response, or trackback from your own site.